Socially responsible and sustainable institutions take a long-term view of their relationships with students before, during and after their time at university – which helps to improve student access, retention, performance and employability. Institutions embracing strategic sustainability create more socially aware, sustainability-driven graduates with the practical, intellectual and resiliency skills needed to succeed in the modern workforce and beyond. Sustainability contributes to the student experience by enabling students to have a positive impact in their community through volunteering and work-placements, through internships offering their services - such as in local law clinics, community dentistry and health practices - supporting local schools and sports clubs and so on. 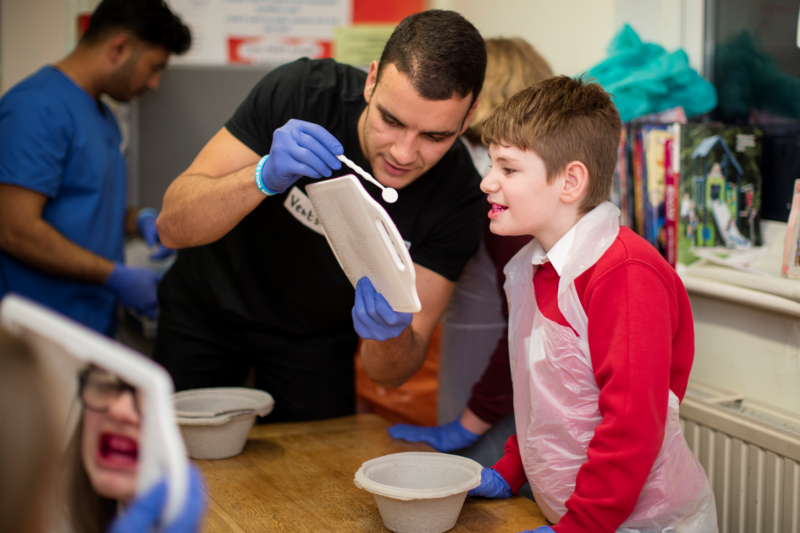 Sustainability improves employability and employment outcomes by broadening student perspectives, encouraging them to take a longterm view and teaching them how to work creatively to solve complex problems. 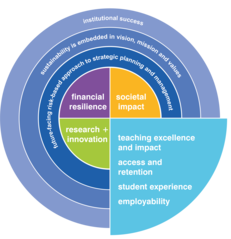 Cross-disciplinary teaching and research associated with sustainability enables students to develop these attributes, together with applied learning from Living Lab projects (13) (which allow students to understand and find solutions to problems in a real-world context). As such, sustainability makes an important contribution to the Teaching Excellence and Student Outcomes Framework (TEF) in the UK and to Outcome Agreements in Scotland. It also enhances relationships with key employers as they look to build partnerships with institutions that produce well-rounded graduates who can work and think creatively. Are we communicating consistently and clearly our sustainability credentials to an increasingly engaged student body? Are we equipping students with the skills and knowledge they need for the future of work? What is our alumni offer in terms of supporting life-long learning? Are we leveraging student interest in sustainability in pursuit of institutional goals – using our campus as a Living Lab? Does our academic offer fully prepare global citizens?